Colours and mirrors and all the kitsch...Gujrat Handicrafts inside the Janpath market is full of them and how. 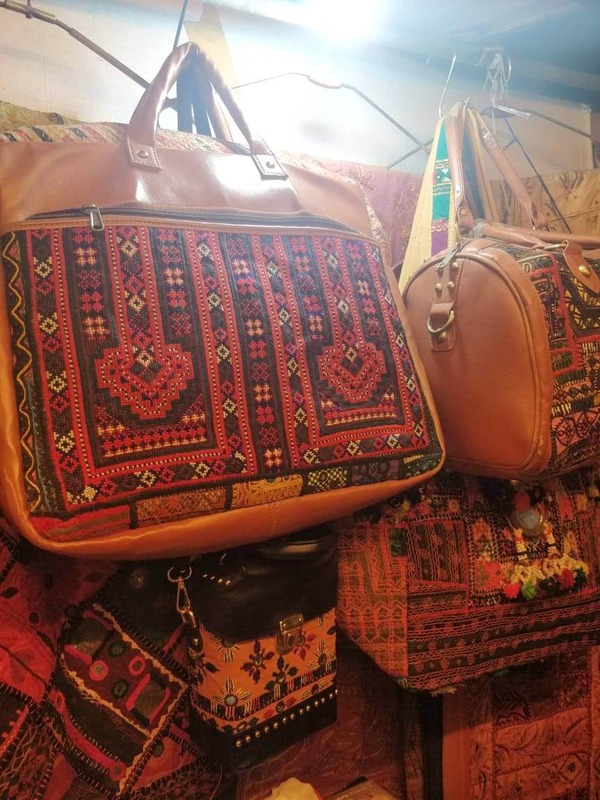 It’s a hole-in-the-wall which is full of stunning leather bags, laptop bags, bed covers, pouches and kurtis. I'd say, the bed covers were GORGEOUS, and would definitely add more embellishment to a boring room. A fun, Gujarati aunty manages this store and she’ll be happy to help you with taking your pick. There’s very little space to stand, but that’s typical of most Janpath shops.